drink 52 cups of coffee. Let me explain. For the past six months we’ve been marketing our business in a whole new city. It’s been one of the scariest things ever, but also one of the most exciting! After building our studio in Missouri for 8 years, David and I moved our family and our business, Whitney Scott Photography, to Northwest Arkansas…home of lakes and waterfalls, towering cedar trees and fall color that will bring you to your knees. And Walmart. And it’s many, many vendors. Opportunities abound in this area. Here’s how we’ve begun tapping into them. This term simply refers to those with whom you already have some type of connection. For us, this meant people we knew from our kids’ school, our church, clients and friends. We asked them one question: “Who do you know that we should meet?”. 1). Your friend “John” said we should meet. 3). I am in the process of making friends and connections. I would like to learn more about what you do and share some of my work (the meeting should be mutual, not just about you). 4). I won’t take up your time (busy people like to know that you are respectful of their time and are more likely to connect with because you recognize this). It goes without saying (which doesn’t prevent me from saying it) that you should arrive promptly at the scheduled time and be dressed professionally. What you may not have thought of is that you need to have done your research about the person/company with whom you are meeting. During this process we met with two magazine editors, and you better believe we scoured back issues of the magazines so we would be able to speak intelligently about them. Going into these meetings I knew which photographers they were currently working with, what the opportunities were for photography in the magazine, and what their strengths were so I could comment on these. 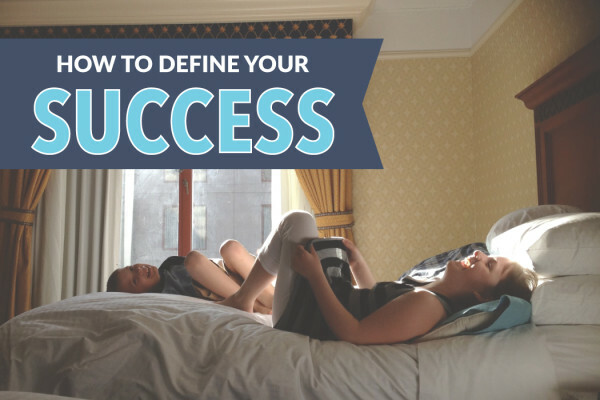 It is also so important to be able to verbalize very succinctly what it is your business is about. Can you sum up your business in 2-3 sentences? Under one minute? If not, get on that! Or better yet, do what we did–this was a fantastic suggestion from a Walmart vendor that we had coffee with— create a postcard or a Comp Card that you can use as a quick visual of your business. You can leave multiples of these with your new friend so they can share! Be prepared for a shock. I believe that only a small percentage of what people buy is your photography. It has to be good quality, of course, but mostly people are buying you. They want the experience you are offering. They want to be a part of the story you are telling. This is part of why we want to meet in person. We’re getting to know them at a friendship level, plus we’re demonstrating the quality of the experience they’ll get in working with us. 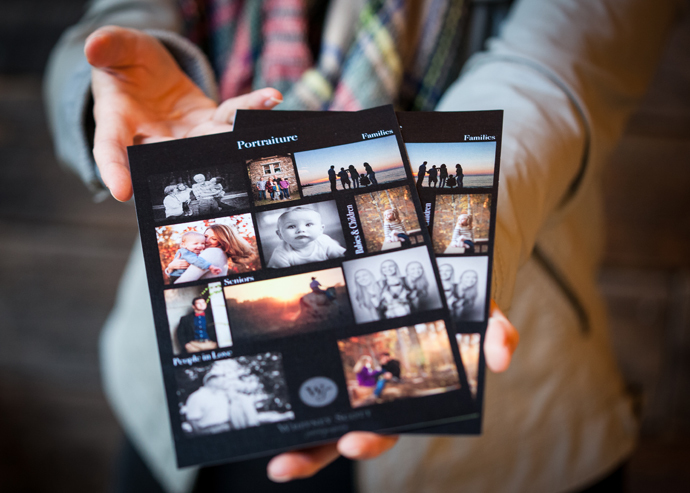 We bring with us a small portfolio of our work (a 5×5 press-printed book that we leave with them) plus our high-quality business cards that feature a creative photograph of our family (selling us, remember?). 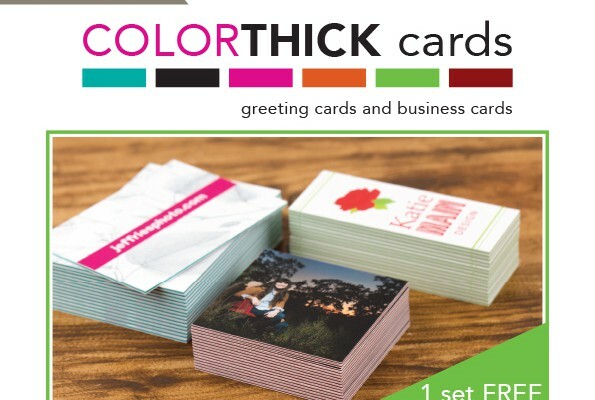 Our business cards are BRI’s ColorThick LoftCards. Every single time we hand them out we get comments on the look and feel. They’re so thick people often think we’ve given them multiple cards. Let me say very frankly that they are an investment (read: not cheap business cards), but in terms of marketing dollars and standing out from the crowd, they’re one of the most worthwhile purchases we’ve made. Before ending the meeting we once again ask that all important question: “Who do you know that I should meet?”. And so begins the process again. Immediately following the meeting–I’m talking about when you drive home and walk in your front door–write a thank you note. This doesn’t have to be a novel or even a big deal, it’s just reinforcing their positive experience with you. It also shows them that if they do refer people or jobs to you, they will have a good experience as well. 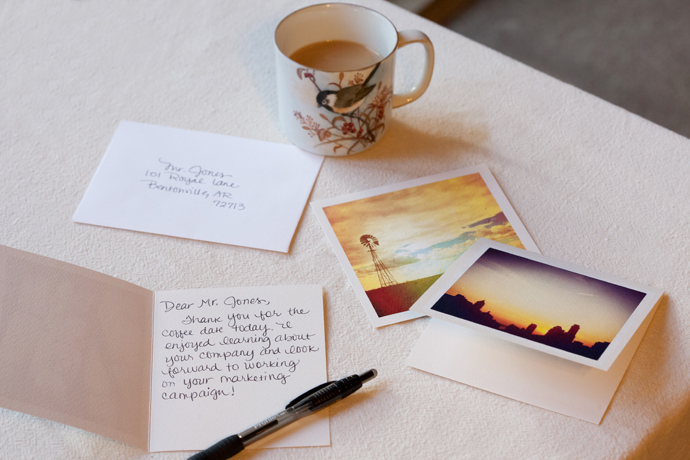 For our thank you notes we use custom art paper cards we order through BRI with some of our travel photography featured on them. Just another way to showcase our work in a way that screams high quality! 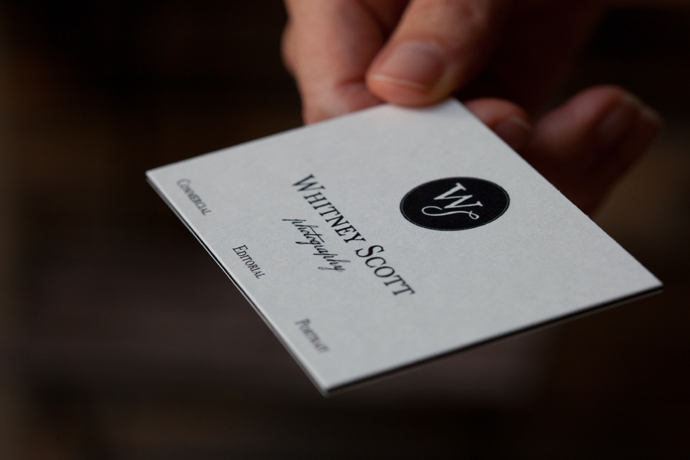 Whitney Scott Photography is an internationally award winning studio located in Bella Vista, Arkansas, and available for travel worldwide. Lifestyle photography for babies, children, seniors, families, couples, commercial and editorial/fashion. Follow Whitney on her blog and on her website.